Metal Casing:It functions as frame work and enhances the strength of the body. Unless specified otherwise, our company use following materials for all metal cases and garter springs. 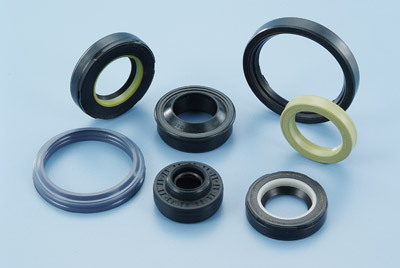 Rubber:Rubber material should be inclusion-free, non- contaminative to lubricants and non-corrosive to metal. * Note: A=Excellent ; B=Good ; C=Fair ; D=Poor. Nylon resin : Good shock absorbing property, high wear resistant, good thermo-stability, and excellent sliding properties. Usually used on highly mobile parts. Application: power steering seal. 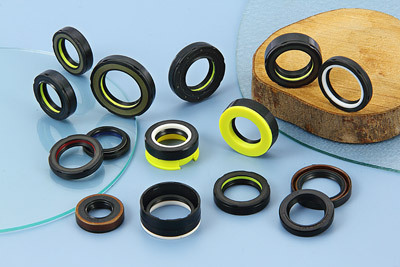 PTFE : White and black are 2 common types. It’s most thermo-stable among engineering plastics. It has excellent anti-corrosive property to chemicals and lowest coefficient of friction value. Common working temperature is -70~270℃. 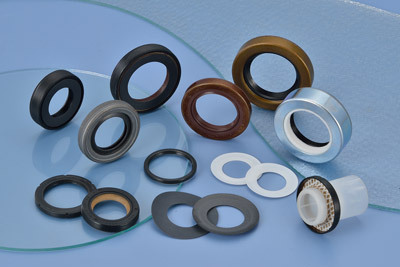 Application: PTFE oil seals are most widely used in chemical plants and machine shops, even OEM orders usually prefer to use this material.